7 Really Cool Business Tips from a 13 year old. My name is Makayla and I’m 13 years old. I am the CEO of Iscarf2. My sister is Bridges and she is 9 years old and is the President of Iscarf2. We opened our business on-line doors about a month ago and have had over 450 sales. Now, this may be tiny for some, but for our first business and while still in Jr.High and Elementary…we are super duper excited about how fun and exciting this has been. We took out a loan from our parents and have just about paid it back. Not too shabby for “squirts” (that’s what our parents call us). Thank you to HowDoesShe for letting us post some tips on starting a business for kids. We’ve learned a lot and we know we still have a lot more to learn, but we are excited to share it with others. Summer is coming so now may be the time for your kids to start a business too. So here we go with tips to start a successful business for kid entrepreneurs. You can find out WHY we started a business over here. 1. Ya got to get a business idea. – Solve a problem and help others. That is probably the hardest thing, but once you get past that then ideas keep coming. We wanted to solve a problem and help others. We are small so our idea of solving world peace at this moment wasn’t a good idea. We kept a journal and put in ideas of things that sounded fun for us. Craft fairs, raising chicks and selling eggs, lemonade stands were on our list. After about a week we noticed we were wearing our mom’s scarves a lot and in creative ways. We wanted to find some for kids, tweens, and adults. So our business idea started. We decided we wanted to show people how to wear scarves and then sell them too. So that’s the beginning of iscarf2.com. Do you see a few ideas below? 3. Instagram it is. – Choose your social media wisely. PicMonkey is one and PicStitch (on the iphone) is another. They let you crop, rotate, put into a pretty something and add text. Bam…you are done. Then for photo editing. We get to use our mom’s Photoshop. She has actions in there that she got from the Pioneer Woman. They were free. Our favorite action is ‘boost’ and ‘lighten’. You’ll see we try to pull out the color in all of our pictures. We also were encouraged to wear a little bit of make-up. NOT a fan of makeup at all, but there was a difference in the pictures…so we agreed. 5. Plan your attack – marketing 99. I would say marketing 101, but I’m not even at that level yet. So let’s start before that. So you are ready. The site is launched. Products are sitting in the garage. NOW, HOW ARE YOU GOING TO SELL THE PRODUCTS? You need to come up with a marketing plan. What are you going to do to help people know about your product? How are you going to make your first sale? We worked with HDS to see if they’d let us advertise. It helps to have my mom as one of the owners☺. Work your connections. Find places you can advertise online. Our site was announced on HDS’s fb page and we got 7 orders in 7 minutes. We were so happy we took a pic of our backend and put it on ig for customers to see it was really happening. See lovely picture below. Then the last tip for today is charity. Make sure part of the money that is being made goes to charity. Right off the top we give 10% to our church. We are then building up more so that we can give to Women’s and Children shelter in our area. We are sure our scarves would make great presents. 7. Thank. You. – Say it. Our last tip is to be grateful. We’ve always been encouraged to say thanks. So let’s start by saying thanks to HDS for letting us post. This has been so fun. We also want to say thanks to our customers and future customers. Thank you for helping us learn and grow. Oh ya…thanks Dad and Mom…can’t forget about those two. Let us know if you have any questions. We will answer them on the weekend. See our info page…that is our work day. We’d love to help you get started. Okay we are off to do homework. 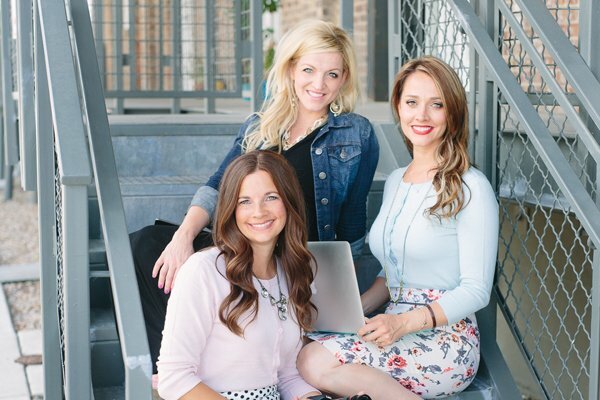 To find out more about how these girls made money, you can find out here and Alison Prince, their mom teaches a free master class on how to make it happen! I love the tip about saying THANK YOU – a little thank you goes a long, long way. These are great tips! Way to go girls! you are such an inspiration. It has taken me 32 years to start my own business. Love the photos and the scarfs! Thanks! I was able to get you subscribed. Watch for an email confirmation coming soon! Good job ladies! I was super excited to order for my little scarf addict, but I was sad to see that you don’t ship to Canada currently. Please let me know when that changes! Thanks ladies and keep on being awesome! BTW… I’m a kid and I’ve also started a hairtie business… I’ll tell you when we open the etsy shop.